From the performing and visual arts to the written word, Basalt makes the arts a priority in its planning, and its vision, whether it’s their new wayfinding signs or placing art in temporarily vacant spaces in a project called “Creative Spaces.” Less than a year ago, the Town of Basalt established the Public Arts Commission whose vision is to strengthen, unify and celebrate community identity, sense of place and economic development by being bold, energetic, accessible, interactive, and culturally diverse. “Even though Basalt is a small town, it has a big vision,” says Genna Moe, director of the Art Base, formerly the Wyly Art Center. “We’re partnering with the town to develop a multi-use exhibition space that will serve Basalt through flexible, community-oriented events rentals. The Art Base brings art in, with classes and exhibition space but also takes the arts out, to schools and through community outreach programs. Among other art projects like the successful “Creative Spaces” initiative, the Basalt Chamber’s Sign and Wayfinding Committee commissioned the new Basalt monument entry sign with a grant from the town of Basalt and continues to advance its mission to create a cohesive and artful wayfinding trails network for Basalt. The Basalt Regional Library has become a hub for writers and poets, hosting 678 programs for children, young adults, and adults in 2015 and welcoming 10,435 people to those events. It has also become a go-to scene for music. National and international musicians perform there as part of the Aspen Music Festival and School, there is a children’s music series, and local musicians of all genres are encouraged to entertain a loyal Basalt crowd. “We have an abundance of talent in this community that embraces its artists. We can perform in our own backyard and our neighbors will come. It’s personal,” says Charlotte McLain, Basalt Library music coordinator. Basalt is home to fantastic fine art galleries such as the Ann Korologos Gallery, which specializes in contemporary western art and artists, and Toklat Gallery, which was established in Ashcroft in 1949 and then moved to Basalt in 2005, where it continues to be the premiere gallery for three-dimensional art. In a vibrant act of collaboration, downtown’s art galleries joined together the second Friday of each month for new show openings. Basalt Art Walk includes the aforementioned Ann Korologos Gallery and Toklat Gallery, as well as Charles J. Wyly Gallery at the Art Base and the Art Base Annex Gallery, Colori Gallery & Studios, Tania Dibbs Studio and Gallery, One of a Kind Jewelry and is supported by the Basalt Chamber of Commerce. 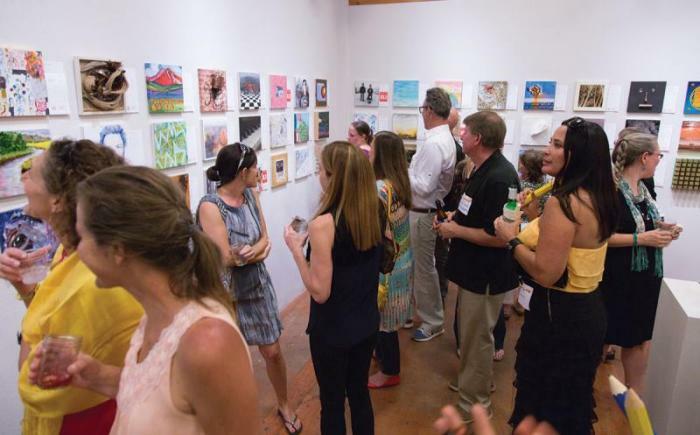 “As a way to engage with the community, Colori Gallery & Studios hosts multiple special events celebrating art and artists every month,” says Von Fumetti, owner of Colori Gallery & Studios, a gallery and artists collective. Colori represents local artists and has seven in-resident studios creating a collective where artists come together to work and support each other. Soon, Colori Gallery & Studios will host special events for the community such as poetry readings, art classes, live music, film screenings and more. Short term and long-term plans in Basalt include a Performing Arts Center, and an outdoor artists’ courtyard and performing arts stage fitted with a movie screen located in Willits Town Center. Creative artists, emerging artists, or lovers of the arts, are discovering that there is no better place right now in the Roaring Fork Valley than Basalt. Increasingly, visual artists, writers, musicians, and actors are choosing to call Basalt home.